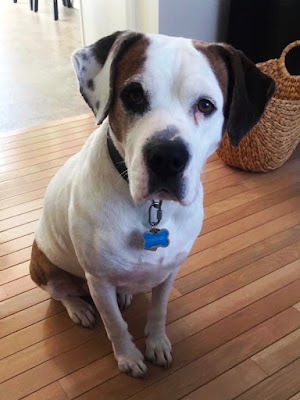 George is a 6 year old gentle boy who is good with kids and other dogs. He is very smart, knows a lot of commands and is fully house-trained. His favorite pastime is lying in a sunny spot by the window and having his belly scratched. Please stop by our shelter located at 506B Curtis Corner Road in Peace Dale or call 401-783-7606 for more information about George or our many other adoptable pets waiting for their new forever homes.